On most roadways, bicyclists (including those on electric bikes) have the same rights and responsibilities as other roadway users including the right of way. Some municipalities have roadways with designated bike lanes. Vehicles should not drive in these bike lanes even if bicyclists are not present. Bicyclists are prohibited on limited-access highways, expressways and certain other marked roadways. Bicyclists are required to travel in the same direction as vehicles. Bicyclists should travel just to the right of faster moving traffic. However, certain hazards such as rough surfaces, debris, drainage grates or a narrow traffic lane may require bike riders to move toward the center of the lane. Drivers must yield the right of way to a bicyclist just as they would to another vehicle. When passing a bicyclist, motorists must do so slowly and leave at least 3 feet of passing space. Crowding or threatening a bicyclist is prohibited. A motorist should not park in marked bicycle lanes. When following bicyclists, a driver should give them plenty of room and be prepared to stop quickly. Extra caution should be used during rainy and icy weather. High beam lights should not be used at night when approaching an oncoming bicycle rider. After parking and before opening vehicle doors, a motorist should first check for bicyclists. When motorists are turning left and there is a bicyclist entering the intersection from the opposite direction, they should wait for the bicyclist to pass before making the turn. If motorists are sharing the left-turn lane with bicyclists, they should stay behind them until the bicyclists have safely completed their turn. If motorists are turning right and a bicyclist is approaching on the right, they should let the bicyclist go through the intersection first before making a right turn. A driver should remember to signal when turning. Low-speed electric or gas bicycles must have a motor of less than one horsepower and must be operated by a person who is at least age 16. Low-speed electric and gas bicycles may only be driven on streets and may not exceed 20 mph. See Illinois speed limits! They may not be driven on sidewalks. Low-speed and electric bicycles must follow all laws applicable to bicyclists. 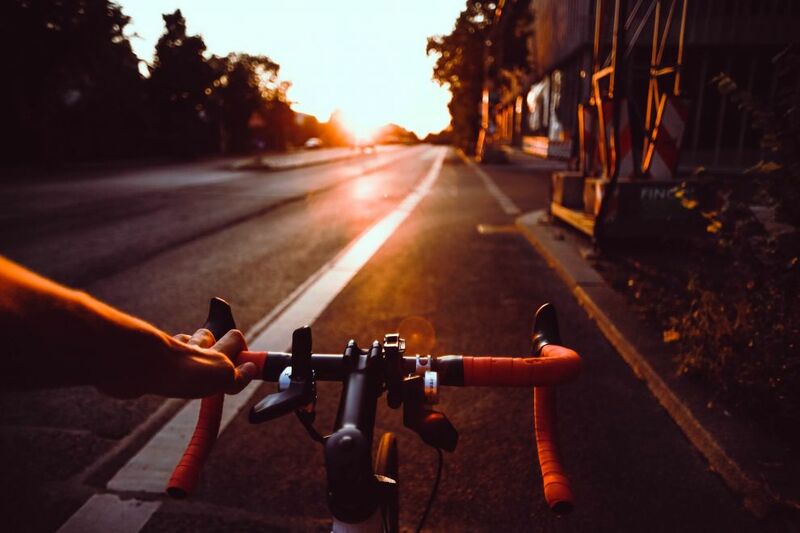 This article about Illinois Traffic Laws for Cyclists and Bicycles was last updated in 2019. If any of our information is incomplete or outdated please let us know. Thank you!